Many years later, as he faced the challenge of making a fresh-hop beer, brewmaster Ben Edmunds remembered that distant afternoon when a fifth-grade classmate helped him discover liquid nitrogen. 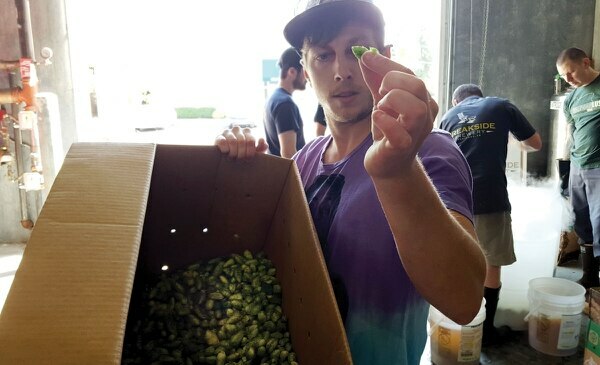 In the summer of 2014, Edmunds was driving to Seattle with a new member of his crew at Portland's Breakside Brewery, and conversation turned to the upcoming hop harvest. Edmunds was dissatisfied with the green, vegetal character found in most fresh-hop beers—beers made with hops tossed in the kettle while they're fresh-picked, instead of being dried in massive kilns and compressed into bales or ground into pellets. "I remember saying it aloud: I want to get to the lupulins, I want to get to the essential oils," Edmunds says. "I want a Mosaic to taste like fresh Mosaic, and not taste leafy. I said, 'I just want to shatter the hops.' And when I said 'shatter,' all of a sudden it brought me back to fifth grade. "In a science fair, I remember another student dipping a rose in liquid nitrogen, and throwing it on the ground, and it shattered everywhere. It hit me. I was like, 'Oh my God, we could do this!'" Do it he did. The flash-freezing technique that hit in a bolt of inspiration took careful planning and a year of practice, plus a lucky batch of hops, but it birthed our 2016 Beer of the Year, Breakside's Fresh Hop Simcoe. Did you drink it? Unless you were monitoring tap lists in mid-September, probably not. Along with Breakside's other two fresh-hop beers, it vaporized in a flash, just like the super-cold substance used to make it, which sits south of minus-346 degrees Fahrenheit. To make this beer—which was both one of the finest pints we had all year and exactly the sort of ambitious, influential project WW tries to honor with this award—Edmunds sprays freshly harvested hops in food-grade liquid nitrogen, purchased from the same source that supplies What's the Scoop? ice cream on North Williams Avenue. 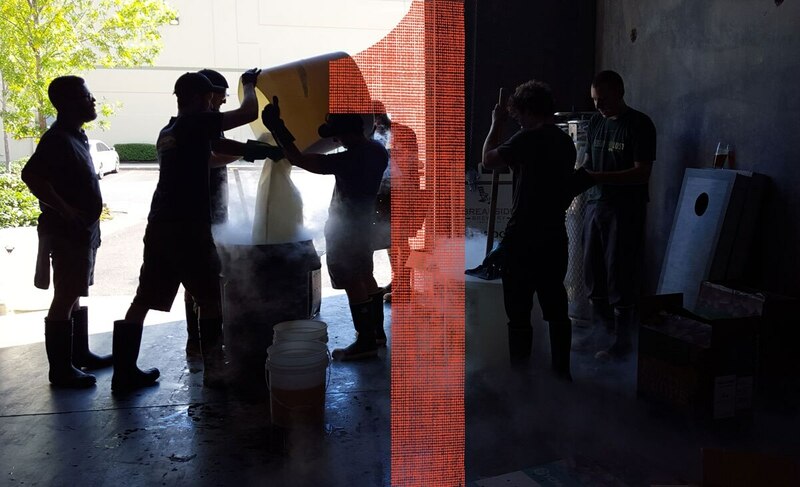 During the few seconds the hops are frozen, the Breakside crew uses a soil tamper to smash them into tiny pieces, freeing the oils and fine yellow dust inside the papery cones. Then the hops are added to chilled wort, as they would when dry-hopping an ale in the British tradition. The result is a beer that's both freshly citrusy and a little musky, lathered up with myrcene, an essential oil also found in cannabis and thyme. It tastes like a hop torn off the bine just before harvest, far surpassing any other fresh-hop beer we've encountered—including the fresh-hop Logsdon Seizoen that was our Beer of the Year back in 2011. It's also a little controversial. 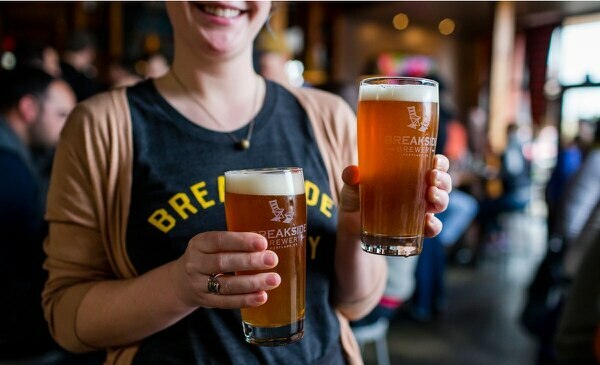 One peer in Seattle challenged the integrity of Breakside calling its beer "fresh hop," given it was briefly frozen. "It's not fundamentally altering the nature of the fresh hop, in my opinion," Edmunds says. 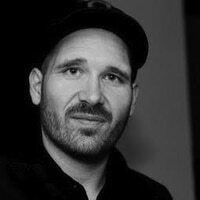 "It's this brief transformation that allows us to do something different that we couldn't do otherwise." Besides, Edmunds says, most fresh-hop beers are disappointments. Even at their best, they're fragile, usually keeping their fresh flavors for only a few days after fermentation finishes. At their worst, they're so grassy they taste like they could give you hay fever. "A lot of fresh-hop beer suffers from tasting very vegetal, very polyphenolic, very indistinct, grassy, green," he says. "To me, if the point of brewing a fresh-hop beer is to get some unique quality out of freshly harvested hops, then I think the beer should reflect that." For Edmunds, the breweries that did that best were Deschutes and Laurelwood, which both use a technique others don't, making a beer using dry hops and adding fresh hops in the bright tank, essentially infusing finished beer. "It's something of a dirty little secret in the region, but most of the best fresh-hop beers are not brewed with 100 percent fresh hops, not even close," Edmunds says. "I think any brewer who wants to make the case that's not a real fresh-hop beer just needs to get over it, because the beers are better if you do it that way." Even then, the quality of the hops is key. Here, Edmunds discusses the way beer is an agricultural product, an idea lost in the 20th century, when large brewers marketed their light lagers as modern and proletarian products of an industrial process so they could appeal to the exploding blue-collar middle class. That's heady stuff for your average brewer, but exactly what you expect to hear from the Detroit native, who graduated from Yale before teaching at a wilderness school for several years in Leadville, Colo. He moved to Portland in 2008 and landed a job at the Jewish community center in Hillsdale, where budget cuts allowed him to furlough himself long enough to study brewing at the Siebel Institute in Chicago. He broke into the Portland beer business at Upright—the brewery responsible for last year's Beer of the Year, Engelberg Pilsner—then got a job as the first brewer at Breakside, which started as a brewpub before opening a 30-barrel production facility in Milwaukie. Between the two breweries, Edmunds cranked out a remarkable 100 different beers in 2013. Though we've given much of our attention to Breakside's far-flung creations, like a beer made with roast duck, Edmunds is most obsessed with consistency. "I'll take the B-plus every time over the beer that's sometimes an A-plus and sometimes a C-minus," he says. Which is why the recipe for Breakside IPA is always in flux, though hopefully not in a way you notice. 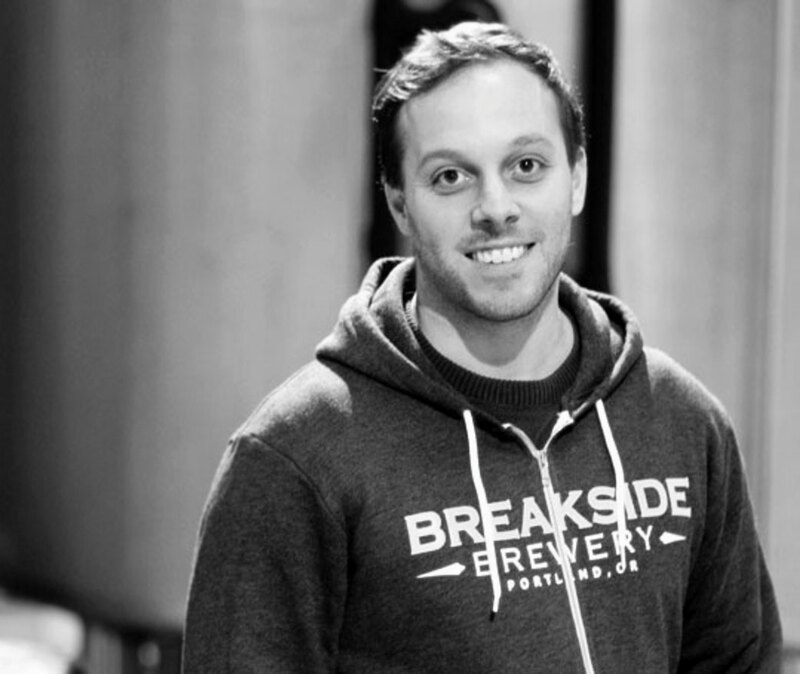 "With Breakside IPA, to me it's a flavor profile, not a set of ingredients," he says. The company's flagship beer won gold medals at the Great American Beer Festival and North American Beer Awards in 2014. That year, Edmunds and his team got to select their lot of the beer's main hop, Citra. "By going and selecting hops, you see this tremendous variation in quality," he says. "In 2015, because of a scheduling snafu, we ended up with common-lot Citra, and the beer definitely took a little bit of a step back. This year, we got to select again, and right off the bat I think the beer has gone back to standout status. So being able to select those hops is a huge thing, and with fresh-hop beers you don't get to do that." With fresh-hop beers, some brewers actually don't know what they're brewing with when they start weighing out their grain. "A lot of people, they go out to the farm and they pick whatever's harvesting," Edmunds says. "They don't really think about, 'Hey, do I want to make a beer with Crystal, do I want to make a beer with Mount Hood?' They don't necessarily get the hops they want, or the lot they want." Which is where the luck came in with last year's crop of Simcoe hops, which came from Yakima Chief in Washington, sent by next-day delivery. Yes, Breakside gets UPS to bring it fresh hops. Edmunds wants those hops within a day of harvest, but he's not worried if he doesn't get them within a couple hours. "As romantic as the idea of driving willy-nilly and seeing what hops might be around, we do a little bit more coordinating with our distributor," he says. "It's the less-romantic version, but we don't have a pickup truck. We have a Sprinter that we need to use for other things." Read the rest of the 10 ten beers here.